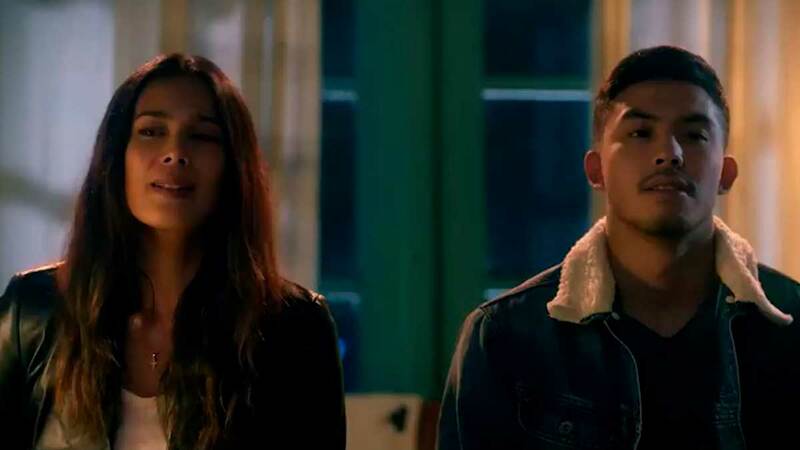 Glorious is written and directed by Concepcion Macatuno and stars Tony Labrusca and Angel Aquino! It's a May-December love affair and has been available for streaming since November 17. This "intergalactic" love story between a human and an alien from Mars promises to be a fun ride—with a lot of sexual innuendos. Arci Muñoz plays Alien 223, who runs away from her own wedding. She meets and falls for Jhon (Pepe Herrera), a resident of Earth, who takes her in to keep others from knowing where she's really from. We also get to see Rufa Mae Quinto as the queen of Mars! While we don't know much about this project starring Marco Gumabao and Krystal Reyes, it promises to be one cute kilig film about a techie guy who falls for a girl with an old soul. P.S. It was actually conceptualized by Bela Padilla! Project Feb 14 is a psychological thriller that tells the story of Brix (McCoy De Leon) and Annie (Jane Oieneza), a strange couple who make some questionable and controversial choices while being filmed by Cody (JC Santos), a documentary journalist. It is written and directed by Jason Paul Laxamana, who was also behind the films 100 Tula Para Kay Stella and The Day After Valentine's. Eugene Domingo will return to her iconic role as a fictionalized version of herself in this film! This time, we'll also get to see Mylene Dizon and Joey Reyes as Eugene moves on from acting and starts directing a film about historical figure Josephine Bracken.